Field surveys at the South Central Ag Lab near Clay Center this week found grasshoppers in field borders in numbers high enough to warrant treatment. Only four of the more than 100 species of grasshoppers found in Nebraska normally damage field crops. These species are the twostriped, redlegged, differential, and migratory grasshoppers. small and immature before they become adults and have fully developed wings. 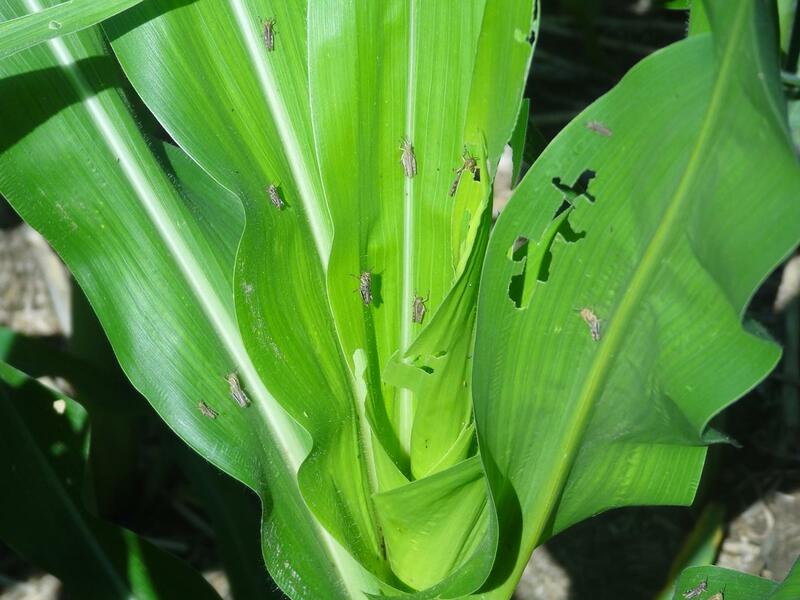 For information on managing grasshoppers in crops, including species identification, scouting tips, treatment thresholds, and insecticides please see the June 22, 2017 CropWatch article, They're Back ... Time to Scout Field Borders for Grasshoppers. Figure 1. Immature grasshoppers are; feeding in field borders in south central Nebraska. Treatment at early growth stages is most effective.